Adding Light And Space With A Stapleford Conservatory Addition. When your home is already beautiful but you want to add light and space, what do you do? How do you add a room that not only meets your needs but that also enhances the architecture of your home? 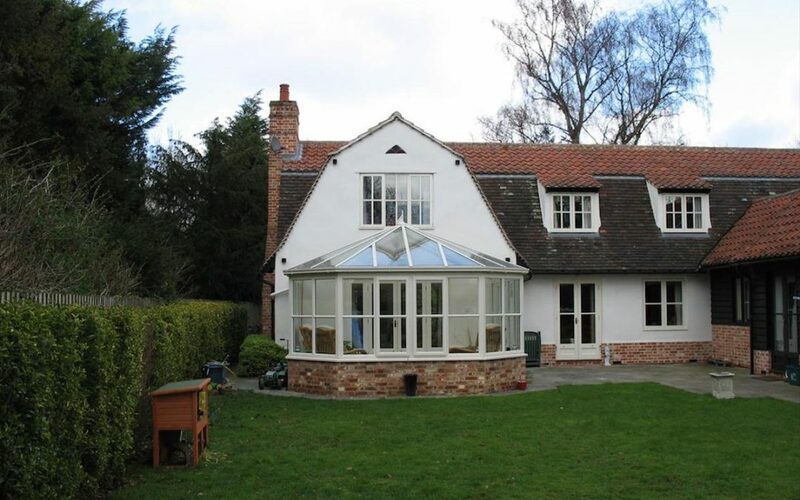 This was the dilemma for the owners of this gorgeous Dutch Gabled farmhouse in Stapleford. The only spot for a new room was beneath the high wall of the gable but it was vital that nothing should take away from it’s unique shape. Understanding that they would need a bespoke solution, the owners approached the Cambridge Conservatory Centre for help and advice. And they weren’t disappointed! Despite the limitations this home could have created, in fact the design of the new conservatory actually enhances and accents the stunning shape of the Farmhouse’s Dutch Gable. 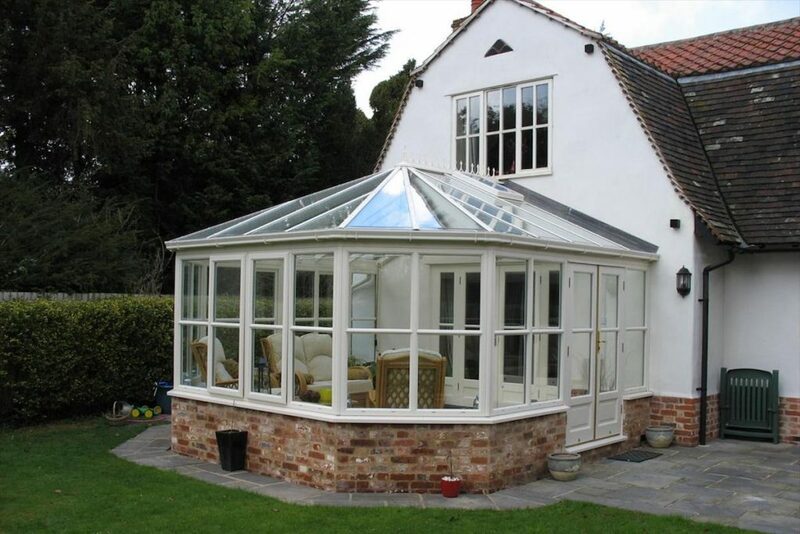 Sitting snugly beneath the central window in the gable end, the fully glazed Victorian shaped conservatory is just the right size and shape to more than meet all the owners expectations. The brick base matches the brick that sits at the base of the Farmhouse. The white of the conservatory structure matches the white windows in the rest of the house. The glazing bars in the conservatory windows are exactly the same height as the ones in the ground floor windows. And the delicate finials along the ridge of the conservatory roof, quietly accent the peak of the gable end. Subtle details that ensure that the new room sits perfectly in it’s surrounds. Details that you don’t immediately notice except to say it looks ‘right’. But that’s where clever design and experience come to the fore. It’s the little things that you barely notice that make the difference between a perfect fit and something that disappoints. 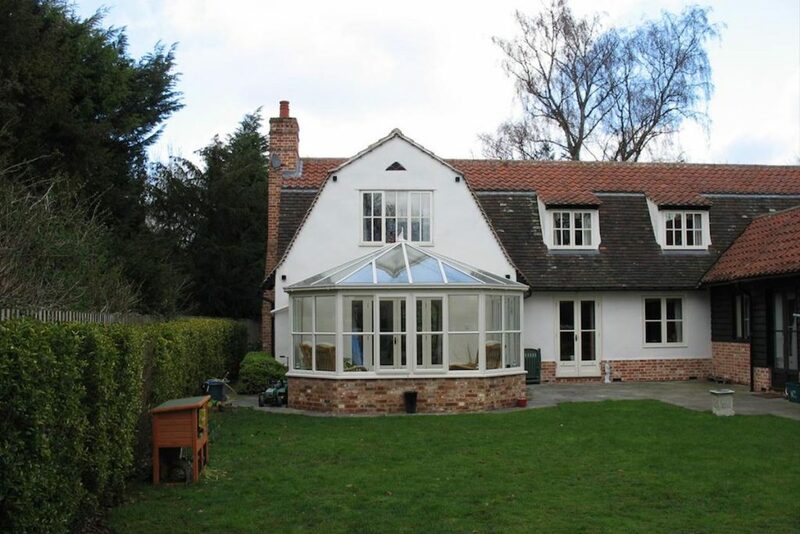 And there’s certainly nothing disappointing about this Stapleford Conservatory addition. Every single detail has been thought through and brought together in a way that makes the already gorgeous home even more beautiful.